Back To Amy is the Amy Winehouse Tribute Band, originating from Belgium. The band creates the atmosphere and sounds as if Amy Winehouse were on stage herself! The live show gives you the image and sound of this versatile soul, R&B, jazz, ska and reggae diva. In the playlist you will find original Amy Winehouse songs and cover songs that Amy played live on stage. 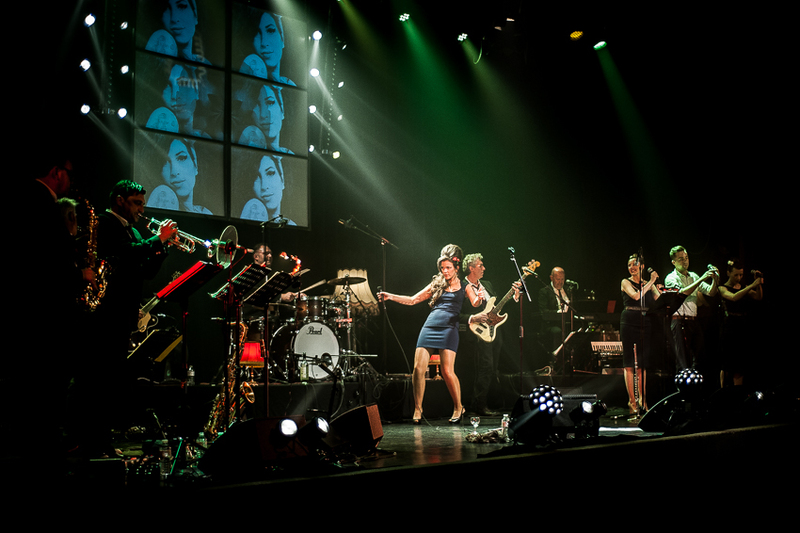 Our Amy Winehouse is supported by a dynamic band of 10 experienced musicians with a rhythm section, an imposing horn section, subtle keys & hammond and three swinging backing vocals. Please contact us to bring the regretted Amy Winehouse back alive at your venue!